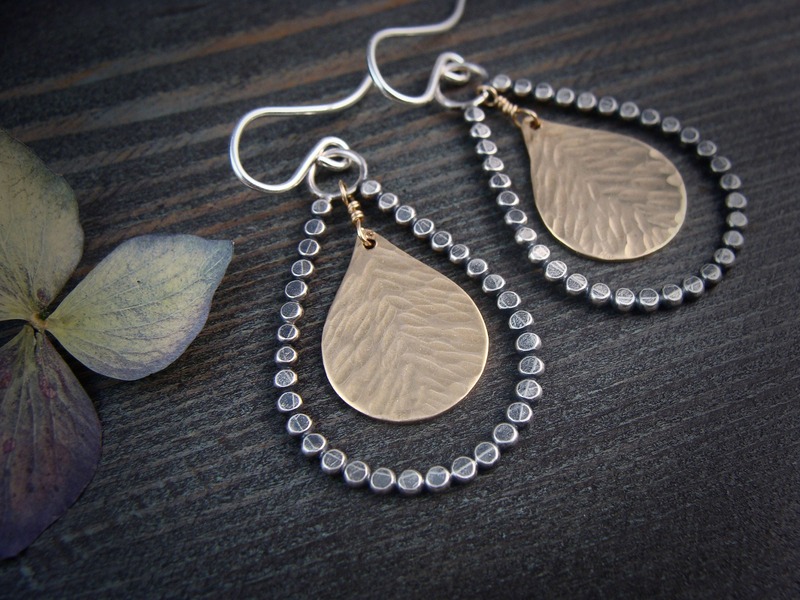 These beaded sterling silver tears feature fluttering drops of 14k gold fill in the center. The gold has been given a feather like texture to catch the light. 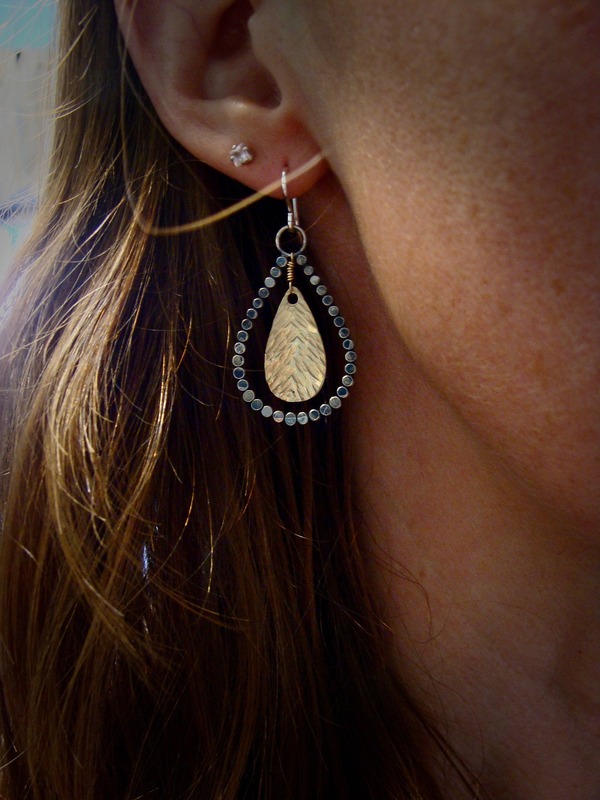 The beaded outer layer has been given a dark charcoal patina. 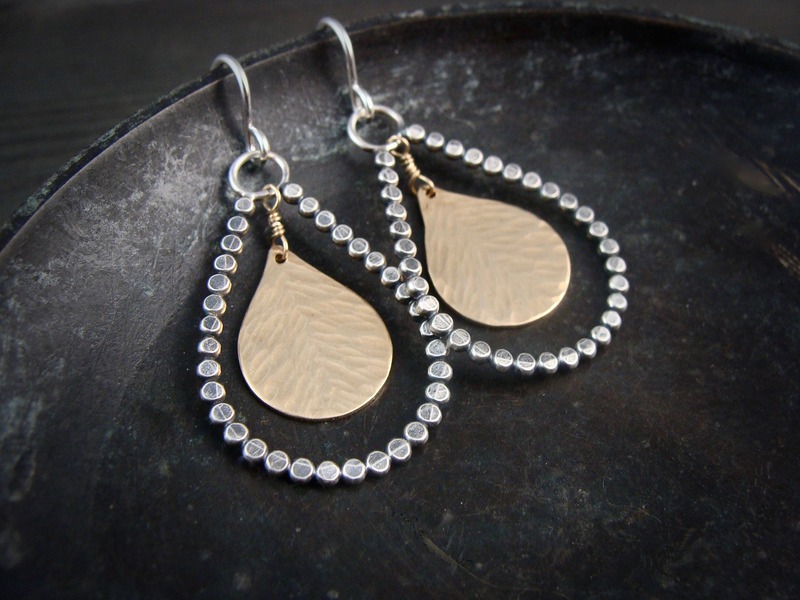 The earrings hang from solid sterling silver ear wires. Pretty and lightweight. 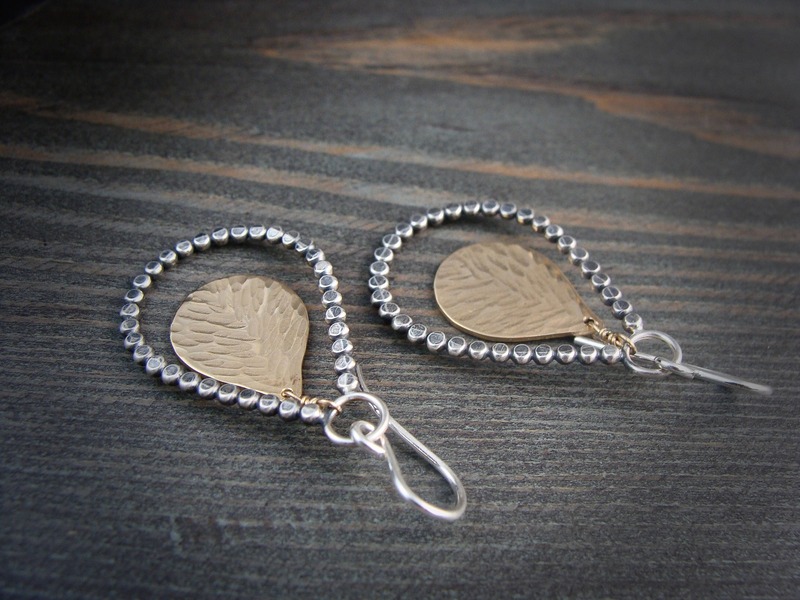 ☞ Earrings hang 1 1/2"
* Each pair is made by hand, expect slight variation. ☞ I provide a customs form # number with both standard international first class and international express. It is your responsibility to contact your local customs or post office if you have questions about delays. 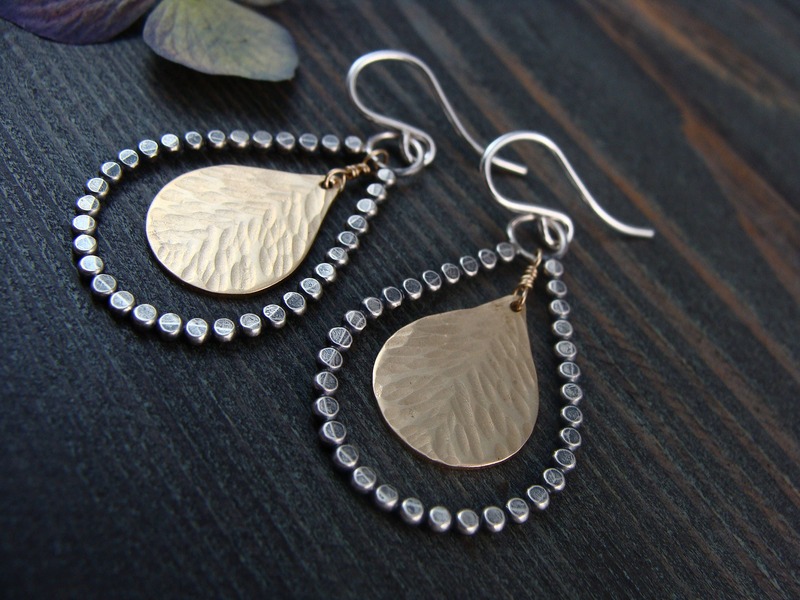 These earrings are just as pretty as described. Fine workmanship. Love these earrings!! 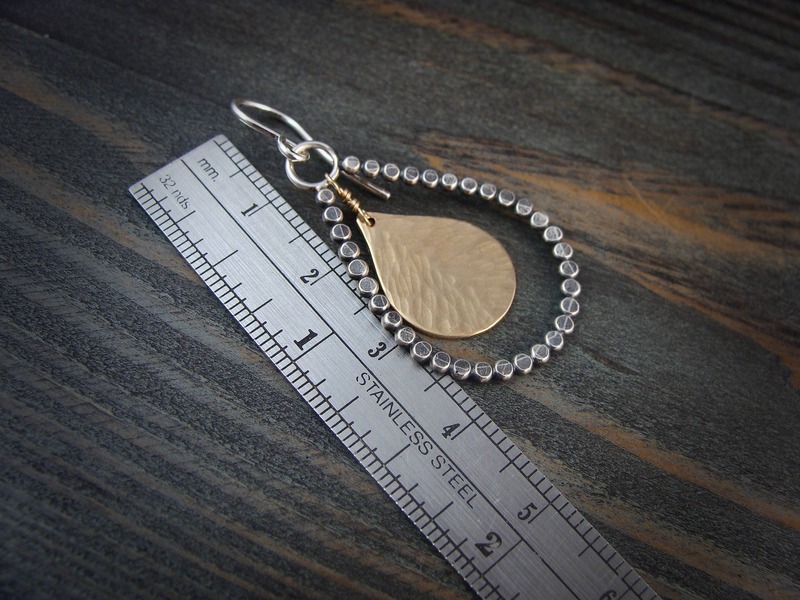 They are the perfect size and love that they are a mixed metal. They go with everything. My new go to earrings. Thanks!! Great size and lots of sparkle from the outer loop!